Kizuna Dance's 'Koibito'. Photo by Ezra Goh Photography. Money, or the lack thereof – it can be a main obstacle to art-making. Traditional methods for raising funds for projects in the arts include seeking wealthy donors and applying for grants. Crowdfunding, in contrast, brings together donations from a “crowd”. Social media, and the universality as well as frequency of its use, has only made this funding method more feasible. 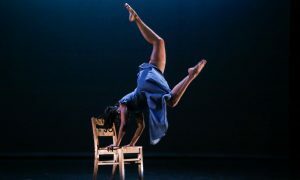 Here, Dance Informa speaks with three different dance artists to learn why they’ve used crowdfunding, how they did so successfully, where funding in the arts in general is moving and more. Sarah Mae Gibbons. Photo by The Fleet NYC. 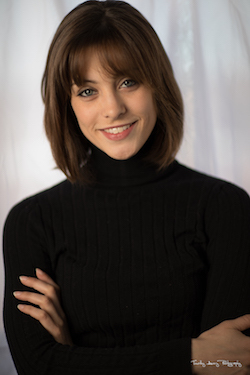 Sarah Mae Gibbons is co-director the New Movement Collaborative in Boston. She’s used crowdfunding to help fund the annual Lion’s Jaw Festival, an annual festival of dance classes, performances and more. As an established non-profit, Gibbons has used Fractured Atlas. 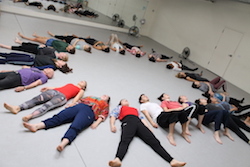 Kristin Wagner, principal dancer and rehearsal director for Boston’s KAIROS Dance Theater, used crowdfunding to help make …that’s what she said possible, in March of 2018. From the advice of a friend, Wagner used Indiegogo. She explains how she’s also had friends successfully use Fractured Atlas but that one has to be one of their selected artists in order to do so. 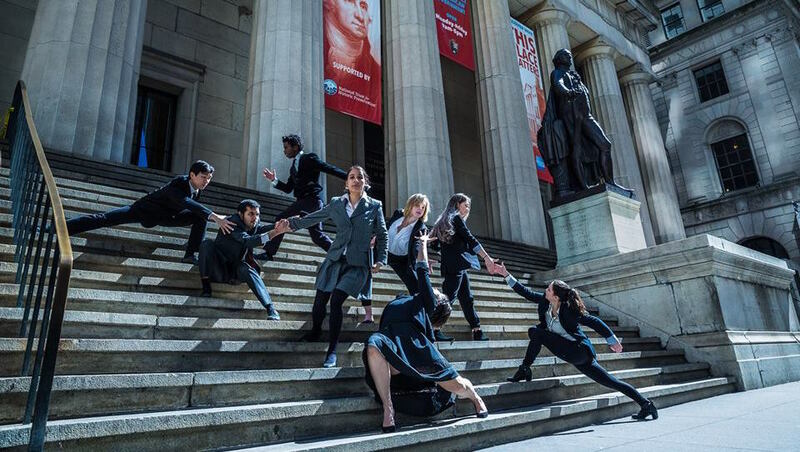 Cameron McKinney, founder and artistic director of Kizuna Dance in NYC, has used crowdfunding to fund various touring initiatives and projects – through social media (Facebook) and email (Mailchimp). Cameron McKinney. Photo by Rachel Neville Photography. For Gibbons, crowdfunding “allow[s] organizations to focus on project-based proposals that have the opportunity to be fully funded in a real-time basis.” She also favors how it makes it more feasible for an organization to respond to its community’s needs. “In fact, it places the power of the project in the hands of the supporters and becomes community driven, which can feel exciting, scary and powerful,” Gibbons adds. Wagner describes a similar desire to more fully involve the local community in her project. Lion’s Jaw Festival. Photo by The Fleet NYC. How did these artists manage to successfully fund their projects through these different crowdfunding efforts? Wagner emphasizes the consistency and “elbow-grease” aspects of the work. Among other methods, she explains, she “post[ed] frequently about the project, and what I needed in order to be successful, as well as spotlights on the choreographers, shared stories from a variety of women that showcased why offering a platform for female voices is important, and reposted current events that related to our project to show connection between grassroots productions and national headlines.” Gibbons speaks to working with the natural psychology of donors. “How do people make decisions around charitable giving and public engagement?” she puts as a helpful frame of mind. Kristin Wagner. Photo by Timothy Avery Photography. 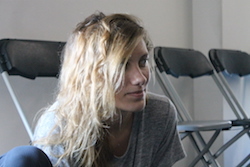 “When I first started asking for money for arts-based projects,” Gibbons explains, “I imagined donors to be interested in a linear, logical and calculated process, but what I’ve actually found, is that the decision to donate seems to be largely influenced by the social and emotional factors around the organization, individual, cause and time of the pledge,” she explains. Gibbons also recommends making sure that the online donation page allows donors to give any amount, because “every dollar counts,” she affirms. McKinney advises helping potential donors understand “the impact that completing the fundraising campaign would have on [your] artistry and career.” He explains how this approach has been increasingly successful, with “more, smaller donations from friends and family of company members” as the company’s social media following has grown. Every crowdfunding project, ideally speaking, has a goal amount. McKinney recommends being “honest about your ideal budget, and then factor in how much of a percentage that fundraising platform will take out for their cut. Add that to your final ask amount so that you’re sure to get exactly what you need at the end of the campaign.” Crowdfunding projects also typically recommend certain dollar amounts for donors to give. Gibbons cautions against restricting amounts donors can offer, however big or small. For Wagner, she made a budget with guidance from two main truths – that she wasn’t going to run a show without being able to pay artists, and funding the show from ticket sales was a “risk [she] wasn’t willing to take.” From there, she tallied production costs for a crowdfunding goal, while planning to pay artists from ticket sale revenue. Kristin Wagner’s ‘…that’s what she said’. 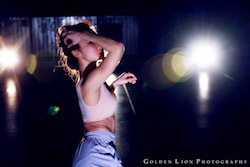 Photo by Golden Lion Photography. To these three artists, where is crowdfunding – and arts funding in general – moving? What feels salient in this space at this time? Gibbons describes thinking about social and psychological aspects behind why donors give, and what they receive in return, and how that impacts how arts funding will move forward. Wagner underscores innovative and “outside-of-the-box” crowdfunding efforts, such as how Raja Feather Kelly, artistic director of the New York-based company, the feath3r theory, launched a 24-hour Kickstarter campaign that raised over $15,000 through a 24-hour long tele-funding effort over Facebook Live. Both Wagner and Gibbons discuss the importance of building a socio-economically diverse community of donors – for all the advantages of diversity, as well as offering a balance between inclusiveness toward all donors and funding viability. Lion’s Jaw Festival. Photo by The Fleet NYC 2. Referencing the idea behind the Patreon platform that allows for automatic monthly donations (as well a function that allows for such recurring donations in Fractured Atlas), McKinney highlights that “having continuous passive income is the dream for any entrepreneur.” Yet, at the end of the day, crowdfunding comes down to smart planning, networking and community building; the platforms won’t do the work for artists. 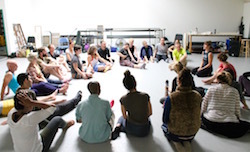 Underscoring all these truths in a wonderfully practical way, McKinney advises artists to “plan ahead, and ask for help in reaching people outside your circle (and outside the dance field).” Apart from funding, crowdfunding is a way to more deeply involve those outside of the arts – a worthy goal in its own right. Follow Sarah Mae Gibbons’ Lions Jaw Festival’s on Instagram at @lionsjawfestival, and visit the website www.lionsjaw.com to register or learn more. Follow Cameron McKinney’s Kizuna Dance on Instagram at @kizunadance, and learn more about the company and McKinney at www.cameronmckinneydance.com.